ICE and DHS Are Aggressively Targeting Companies in California and Texas. Here’s What You Need to Know. U.S. Immigration and Customs Enforcement (ICE) and the U.S. Department of Homeland Security (DHS) are actively targeting California and Texas companies that hire workers from Mexico. If convicted, company owners and executives can face decades behind bars. With immigration issues taking center stage during the midterm elections and with the White House taking a firm stance against foreign citizens illegally crossing U.S. borders, federal agencies including U.S. Immigration and Customs Enforcement (ICE) and the U.S. Department of Homeland Security (DHS) are aggressively ramping up their efforts to combat illegal immigration. Currently, ICE and DHS are focusing their efforts in the southern border states with particular emphasis on California and Texas. But, rather than targeting traffickers and illegal aliens themselves (although these individuals are also at high risk for prosecution and removal), ICE and DHS have instead set their sites on the American companies that provide job opportunities to undocumented workers. In recent months, ICE and DHS have made hundreds of arrests in California and Texas, and many business owners and executives (including owners of small, family-run businesses and executives at companies with hundreds of employees) are now facing criminal prosecution for a broad range of immigration-related violations. For example, earlier this year ICE conducted an “immigration sweep” in Southern California that targeted 122 independent businesses. This followed a Northern California sweep which targeted at least 77 local companies. Together, these law enforcement efforts resulted in hundreds of arrests. As a result, companies that hire undocumented workers, either knowingly or unknowingly, currently find themselves in a very precarious position. For employers in California, this is exacerbated by the fact that the California Attorney General’s Office has publicly announced its intention to prosecute employers who are caught in federal immigration sweeps. With state-level and federal-level offenses both carrying the potential for substantial financial penalties (and potentially even incarceration), companies’ owners, managers, and executives must take swift and strategic action to protect themselves at the first sign of potential law enforcement action. Do not open your door until you have seen a warrant. Make sure the warrant was issued by a federal court and signed by a federal judge. State that you do not give your consent to an unwarranted search if ICE or DHS agents attempt to force their way in, but do not physically resist. Try to take photos and videos documenting all ICE and DHS activities. After the raid or sweep, write down as many details as you can remember. Assert your right to legal counsel and your right to remain silent. If you are facing federal criminal charges as a result of an ICE or DHS raid in California, Texas, or any other state, you need to take appropriate steps to defend yourself immediately. 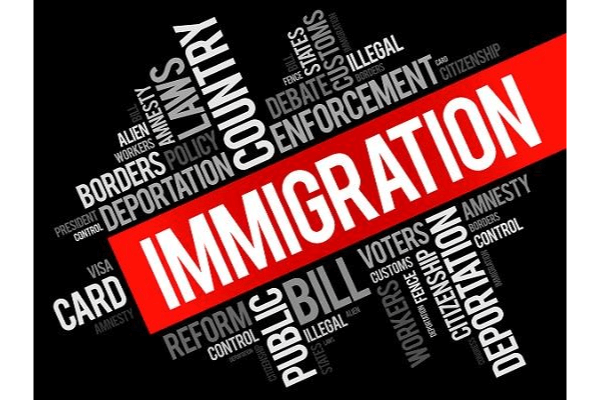 With the federal government’s focus on combating illegal immigration, you can, unfortunately, be fairly confident that the U.S. Attorney’s Office will fight aggressively to convict you at trial. But, being arrested does not mean that you are guilty. And even if you have committed a federal immigration offense (which you should never assume is the case), this does not mean that you will be convicted. You could have several defenses available. But again, you need to be very careful to avoid mistakes that could make it more difficult to keep yourself out of prison. If necessary, preparing to present a vigorous defense in federal district court. Regardless of your current circumstances, if you have received any form of contact or had any interaction with ICE or DHS, it is important that you seek experienced legal representation immediately. Members of our federal defense team are available 24/7, and we can arrange for you to speak with one of our highly-experienced defense attorneys right away. For confidential legal advice that is custom-tailored to your personal circumstances, please contact our offices to request a free initial case assessment. To schedule a phone or in-person meeting as soon as possible, call (888) 519-4897 or tell us how to contact you online now.